Beekman Square | Historic Jacksonville, Inc. The cul-de-sac off E. California Street in Jacksonville now known as Beekman Square was originally the site of St. Mary’s School. 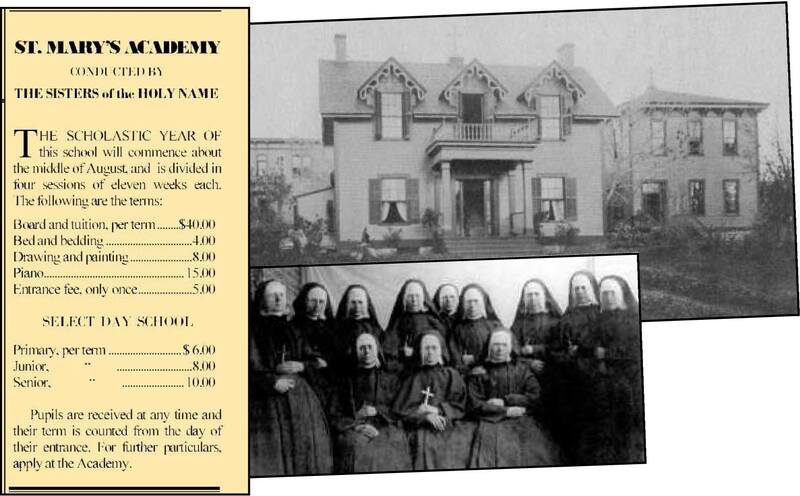 Established in 1865 by three members of the Sisters of the Holy Names of Jesus and Mary, it operated as a 12-year boarding and day school for the daughters of the more well-to-do pioneer families. It graduated its first student in 1871. St. Mary’s moved to Medford in 1908 and became co-educational in the late 1920s. It’s currently serves middle and high school students.